Jeffree Star doesn’t do anything by halves – from getting ready in his bright pink Rolls Royce to giving in-depth tell-all reviews of everything from stainless steel mascaras to $3000 face masks on his YouTube channel, he’s already an internet legend. Another legend move? Donating proceeds from the sales of his new Equality Mini Rainbow Bundle to the LA LGBT Centre. That’s right, the mothership of all lipstick collections has finally landed, and the internet is shook. The bundle itself is a selection of eight vibrantly coloured mini liquid lipsticks – seven bestsellers from the existing collection (Diva, Redrum, Flamethrower, Queen Bee, Breakfast At Tiffany’s, Blue Velvet, and I’m Royalty) and one brand new and limited edition shade, Equality – a dark emerald green (which we cannot wait to use as an eyeshadow). 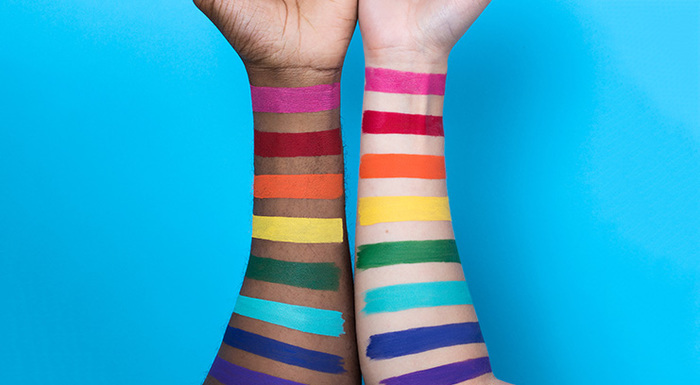 Ever since Jeffree first launched his Velour Liquid Lipsticks in 2014, makeup obsesses on the internet haven’t stopped raving about the ultra-pigmented, velvet-finish, insanely long-lasting formula – which also happens to be 100% cruelty-free and vegan. 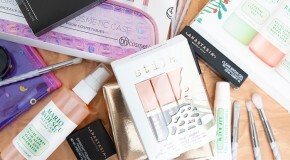 The products didn’t just change the beauty industry (by kickstarting the liquid lipstick trend), they inspire people to be more creative than ever… If you’re worrying that you don’t have enough lip space to give all eight shades some love, fear not – this isn’t just your standard lipstick set – the eye-safe formula can be used on eyes, lips, face. Everywhere can get a rainbow update, because anything bright goes.